Thoughts on End of Life – Can we talk? Why is it we express surprise when an elderly loved one passes away? What did you expect? Stairsteps to heaven? I encourage each to choose to prepare oneself instead of pretending it will never happen. “The span of mortals is short, the end universal; and the tinge of melancholy which accompanies decline and retirement is in itself an anodyne. it is foolish to waste lamentations upon the closing phase of human life. 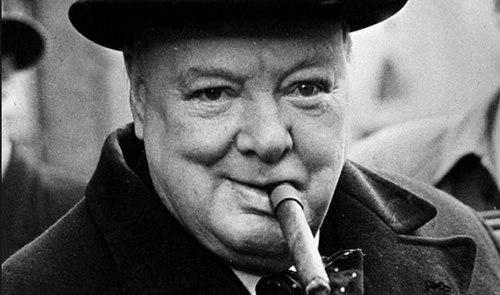 Noble spirits yield themselves willingly to the successively falling shades which carry them to a better world or to oblivion.” – Sir Winston Churchill, November 30, 1964 on occasion of his ninetieth birthday. If you share the existentialist view that this is all there is, good luck with that. I know for a certainty that after this mortal flesh of mine passes away, ceases to function and all who care are walking away from the cemetery, I’ll be well on my way to eternity. It was just over 40 years ago I discovered there is more to life than a body that ages and dies. You who may be atheists, agnostics or existentialists can just hide and watch. As Sir Winston said, I’ll be no my way “to a better world” while you slide into oblivion. Previous Post Islam v. Christianity – Are All Religions The Same? Next Post Will the Backlash Against Muslims in Europe Affect “Los Dreamers” in Texas?